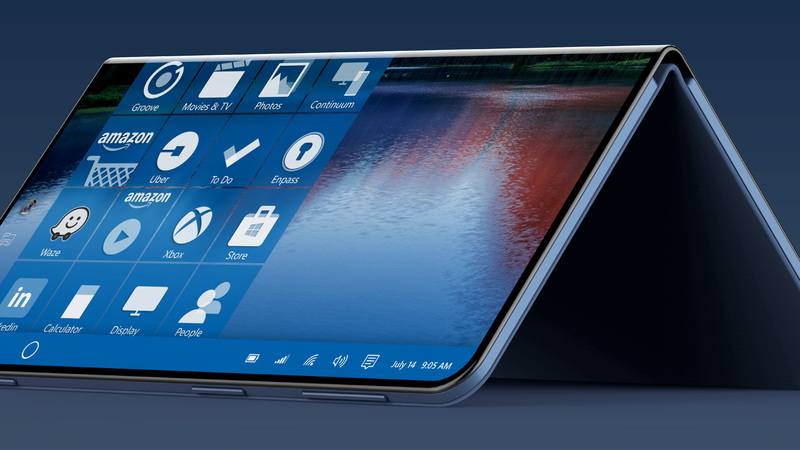 A report from Windows Central claims that Microsoft and Intel are working on a device with the codename “Centaurus.” The device is believed to be a foldable dual-screen version of the Surface PC that will operate on an edition of Windows 10 known as Core. Centaurus is not a new name for the Andromeda device project, which is believed to involve the long-rumored Surface Phone. Windows Central has published an article detailing a project codenamed “Centaurus.” The project is based on a new device with a novel form factor that both Microsoft and Intel are developing. The device has been called a “dual-screen 2-in-1” and is expected to utilize Windows Core OS (WCOS). This potential Surface PC will come with two screens and can be folded, therefore offering the extra functionality of a dual-screen device and the convenience of a convertible. It wasn’t long ago Notebookcheck reported on Surface chief Panos Panay talking about new form factors that will offer a change to the current market; he could have been referencing the Centaurus device. Whilst Microsoft will obviously be busy designing the PC, it appears Intel is involved in terms of the CPU chosen to power it. This is to be expected, as Intel products power the majority of Microsoft’s Surface series, although there is a rumor that the Redmond-based tech giant may be eyeing up AMD APUs for a Surface Laptop refresh. Apparently, the dual-screen 2-in-1 Microsoft Surface Centaurus convertible PC, or whatever catchy name it ends up sporting, will be officially announced in fall 2019. Those interested in the progress of Andromeda may be concerned that this news tolls the death knell for the potential Surface Phone. However, even though Centaurus is believed to be taking priority, there may still be a future for a smartphone form factor addition to the popular Surface series.